The 2019 Forks of the Wabash Pioneer Festival will take place on September 28 & 29, 2019. The hours are 10 a.m. to 6 p.m. on Saturday, and 10 a.m. to 5 p.m. on Sunday. 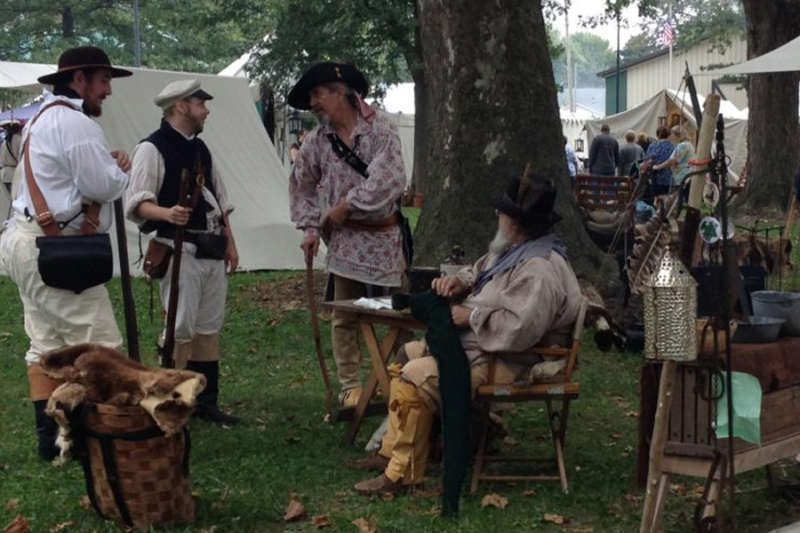 A nondenominational old-time worship service will be held Sunday at 9 a.m. before the festival opens. 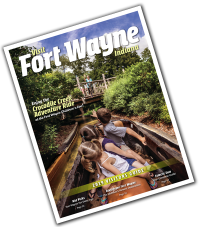 The Forks of the Wabash Pioneer Festival celebrates Indiana life in the early- to mid-1800s when Native Americans, white settlers and French traders populated the area. View everyday pioneer life in the Pioneer Village, Olde Town and encampment area where festival guests can see a blacksmith at work, tradesmen caning chairs and weaving baskets, homemakers churning butter and separating cream, and frontiersmen cooking their game over open fires. There is also a Civil War encampment and military drills. Children can learn their lessons in a pioneer school, play some unique musical instruments, fly through the sky on a merry-go-round made of ropes and logs, and try their hands at a variety of games and crafts. Although the focus of the festival is the traditional pioneer era, the weekend also pays tribute to pioneering spirits of slightly later times with displays of antique motorcars, vintage bicycles, time-worn tractors and early engines. Crafts and antiques fill two buildings and vittles are plentiful and enjoy live entertainment throughout the fair grounds. Free Parking! Admission is $1 for students, $3 for adults.